Chicago is home to some of the greatest architectural achievements and cultural monuments in the world, most of which can be found walking down the windy city’s Magnificent Mile. The upscale throughway, a mixture of restaurants, high-end retail, financial services companies and hotels, connects Chi-town’s downtown with the city’s Loop Business District. 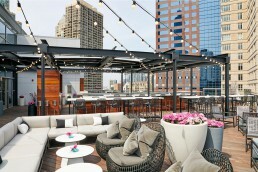 Located directly in the centre of Chicago’s bustling north shore sits the luxuriously refined, Chicago Conrad Hotel. 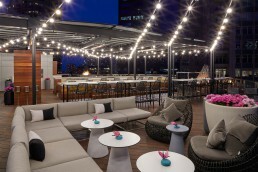 Bucking most other trends, the 287 room hotel, 10,000 square feet of conference spaces and three unique restaurant spaces sets this hotel apart from most along the “Mag Mile”. 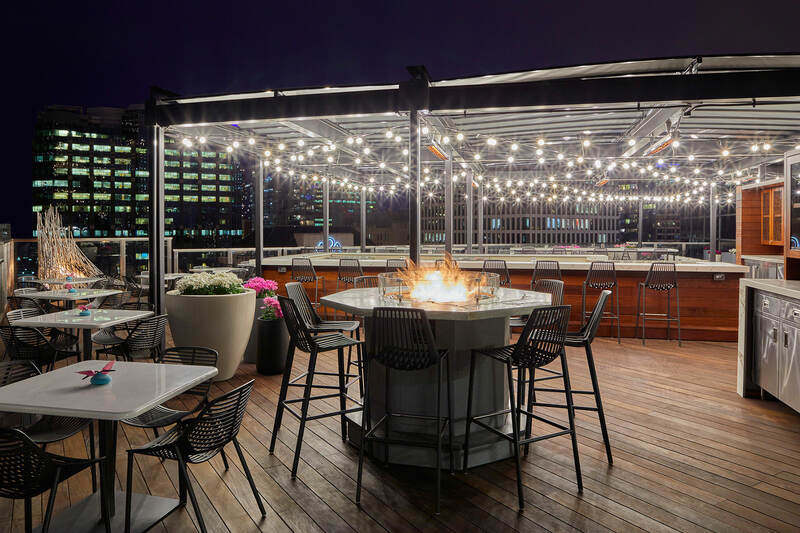 Yet, it’s Noyane, the hotel’s crowning achievement, and the city’s first Japanese rooftop restaurant, that has helped put the Chicago Conrad on the map. 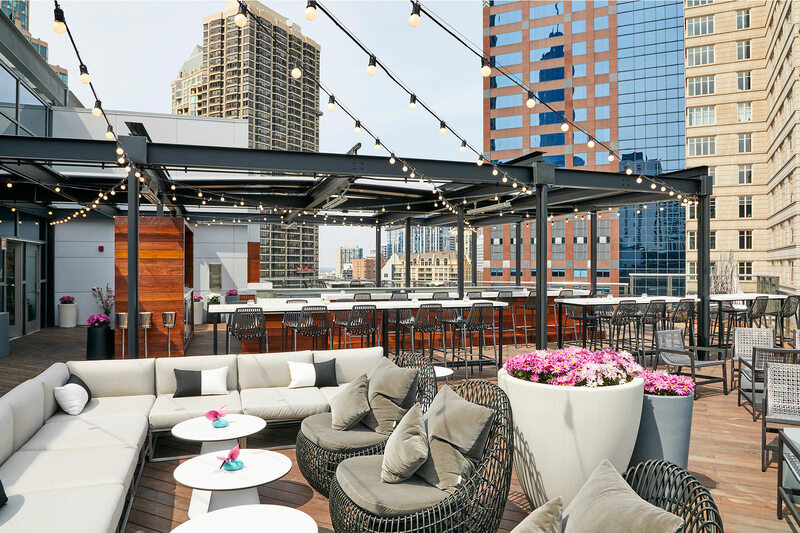 Staring out over Chicago’s stunning skyline, Noyane serves up modern Japanese cuisine to hotel guests, urban elites, and local scenesters. 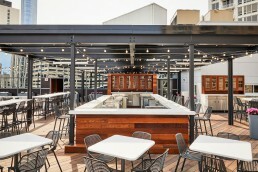 The biggest compliment to the contemporary dishes and delicious cocktails is the impressively spacious outdoor rooftop. 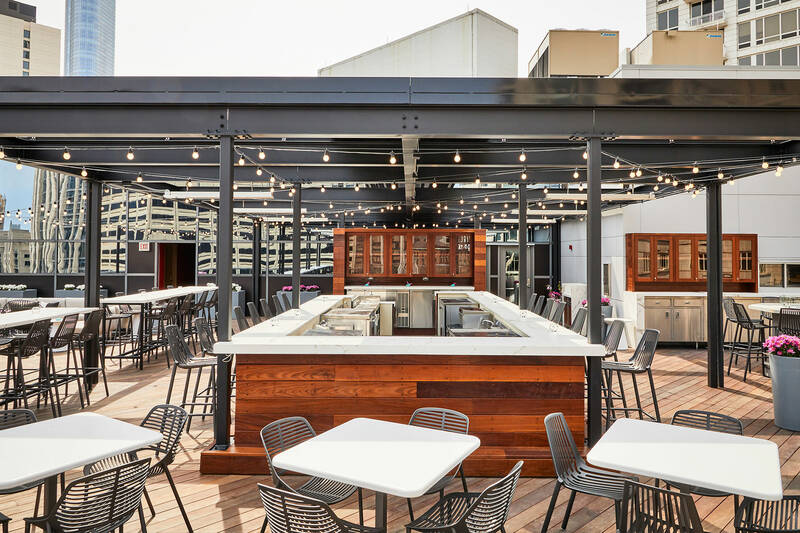 Designed by the widely renowned Puccini Group and made a reality by Chicago Roof Deck + Garden, the rooftop space is adorned with modern furnishings, fire pit, large bar area and impeccable finishing. 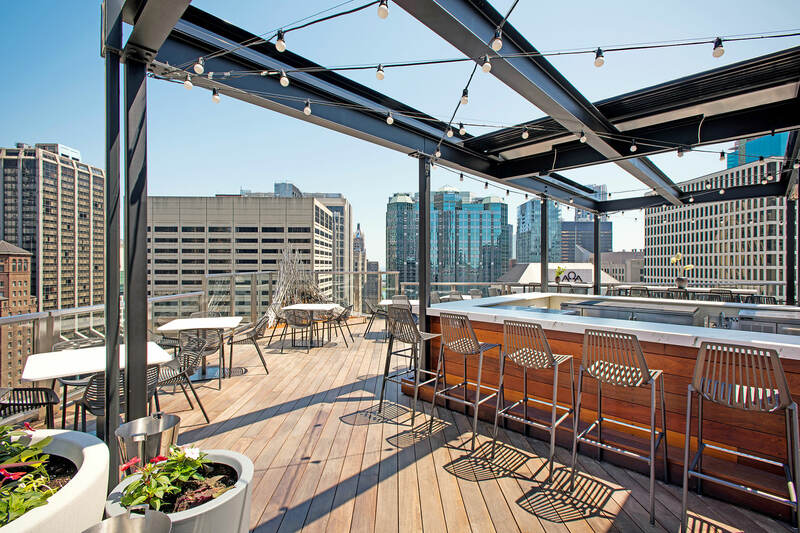 Though only open during the warmer Chicago months, the architects at Puccini Group still wanted to provide guests with a weather solution that could both provide maximum comfort and enhance the style of the space. No stranger to the Windy City, we jumped at the chance to make our mark along the ‘Mag Mile’. 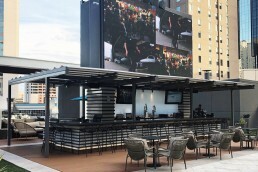 Working alongside Puccini Group and CRD+G, we integrated 6 retractable roofs over top the massive bar, covering an area of 1200 square feet. Along with a resolute waterproof fabric, we also installed a full gutter system to manage rainfall. 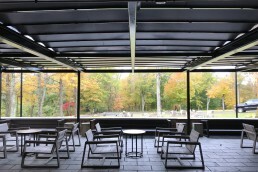 The systems are powder coated to blend in with both the steel structure and finishing found throughout the rooftop patio. Along with staying true to the Noyane design, we also provided function and assurance that rain or shine, guests will enjoy their stay. We aren’t sure if its fate or fortune, but the Windy City and ShadeFX seem to be a perfect match, and even though this may not be our ‘homecoming’, Chicago is definitely ‘our kind of town’. 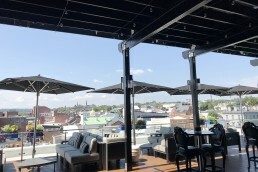 The biggest compliment to Noyane’s contemporary dishes and delicious cocktails is the impressively spacious outdoor rooftop. 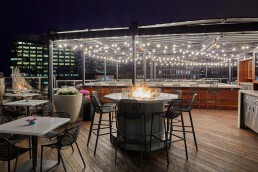 The rooftop space is adorned with modern furnishings, fire pit, large bar area and impeccable finishing.